This entry was posted in Case study and tagged Big data, CIA, Cuban Missile Crisis, Forbes, Intelligence failure, Risk management, strategic surprise, U2. Bookmark the permalink. Excellent piece Philippe and an interesting perspective. Thanks. I would like to put more emphasize on the interrelation between the senior intelligence analysts and the decision makers outside the Intelligence community. It is a major problem that is not addressed enough then and now. And what we are doing with the painful problem of groupthink which hits repeatedly. The business community must be mobilized to support the intelligence community. Thanks for your comment. You’re certainly right and in the Cuba crisis, the eagerness of the CIA to please the President after the Bay of Pigs certainly played a role as we suggest. However, Milo and I focus our work on what happens before the interplay takes place. 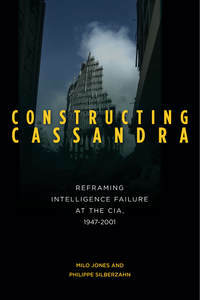 If the CIA itself is surprised, then the problem goes deeper, we argue. It is logically prior the warner-warnee problem.